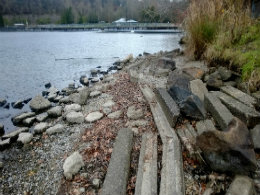 Just off shore in Renton's Gene Coulon Memorial Beach Park, the heavily-visited Bird Island provides habitat to a number of wildlife species, including juvenile Chinook salmon who enter Lake Washington from the Cedar River. 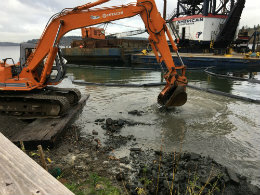 The Washington State Department of Natural Resources' Aquatics Restoration team has partnered with the City of Renton Community Services Department to enhance the shoreline habitat of Bird Island while also improving public access to it. This project was constructed in two phases. 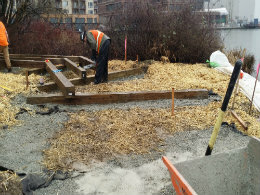 Phase 1 was funded by the DNR Aquatic Restoration Program's Shoreline Enhancement Funds. 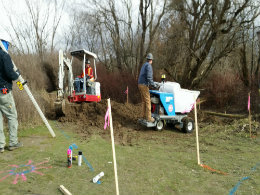 Phase 2 was funded by the King County Cooperative Watershed Management Grant. 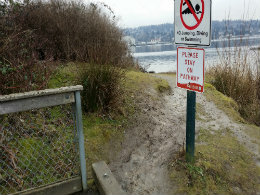 Placed 3 new educational signs along Bird Island boardwalk. Adult salmon lay their eggs in the upper reaches of the Cedar River. 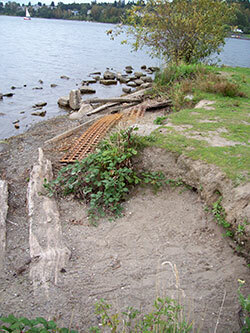 Once the eggs hatch the juvenile salmon swim down the river and enter Lake Washington. 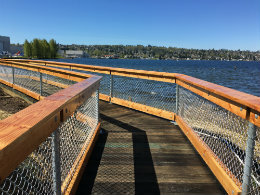 The southern shores of the lake are an area where the baby salmon rest, eat, and grow before moving out of the Ballard Locks and into Puget Sound. Juvenile Chinook salmon prefer shallow sandy shorelines with overhanging vegetation. Bird Island provides a unique opportunity to improve habitat for these migrating salmon due to its proximity to the mouth of the Cedar River. 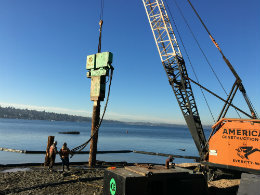 This project will connect existing habitat between the Gene Coulon swim beach and the recently completed South Lake Washington Shoreline Restoration Project adjacent to the Boeing property. 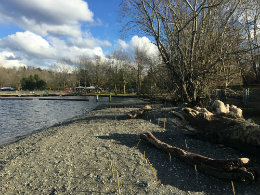 The end result of this project was improved habitat for salmon, birds and other wildlife that use the island and a new area for the public to view all of the wildlife.